The issue of executive versus legislature schisms has always found sad expression in the consideration and implementation of the country’s annual estimates, ordinarily called the Budget. It is a rivalry that preceded the current administration of President Muhammadu Buhari. Right from the onset of the Fourth Republic, under President Olusegun Obasanjo, passing and implementation of the budget have always been a source of great friction and spilling of bad blood between the two arms of government. But, while the arms used to patch up their frosty relationship, the matter has refused to be kept under wraps as a family affair in recent times. A new low in budget impasse between the Presidency and National Assembly, which emerged in recent times could be traced to the ill-fated attempt by the ruling All Progressives Congress (APC) to choral the leadership stature of the National Assembly. As such, what could be likened to a cat and mouse relationship ensued by the open indictment of the National Assembly by President Buhari last Wednesday. While the President alleged shady alterations by the legislators in the budget, the lawmakers countered that they were not there as mere rubber stamps to pass the figures as they came in. The public interpretation of the different standpoints of the two arms of government on the 2018 Budget conveys the idea that while the President tags the lawmakers as conniving, corrupt and lazy opportunists feeding fat on the national wealth, the legislators dismissed the President as being incompetent, paranoid and petty. 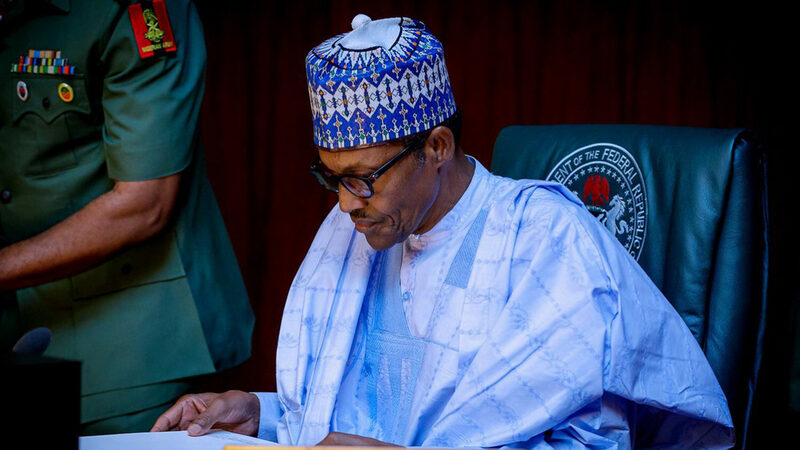 The President has decried cuts in most of the capital projects provided for in the 2018 appropriation by the federal lawmakers and undue inflation of provisions for overheads, especially those relating to the running cost of the legislature. In their clarification, the members of the National Assembly declared that they redistributed the capital votes to ensure even spread of amenities to accommodate all sections of the country. From the early days of the late Chuba Okadigbo and Ghali Na’Abba-led National Assembly right through to the regime of David Mark and Waziri Tambuwal, it has always been a tale of consistent face-offs between the legislature and the Executive over the question of who controls the budget process. The executive arm believes that the President, having been empowered by section 81 of the 1999 Constitution to prepare and cause to be laid before the National Assembly a budget proposal, should play a dominant role in dictating the shape and contents of the budget. The National Assembly on the other hand, contends that by the provisions of section 80 of the constitution, that: “No Money Shall be spent except in a manner prescribed by the National Assembly,” it is the sole authority on the final action in the budget process. These two seemingly conflicting standpoints form the origin of the historic war, which has defied resolution since 1999. The onset of budgetary crisis between the two arms was in the year 2000, when ex-President Olusegun Obasanjo refused to sign the appropriation bill on grounds that it had been padded with about N2b. Obasanjo had in November 1999 proposed N667.51b to be spent in the 2000 fiscal year, which was his first budgetary estimate after resuming office on May 29, 1999. Breakdown of the estimate showed that out of the N22, 714,438,837 allocated to the lawmakers, N9, 484, 755, 000 was for recurrent and capital expenses. But, by the time the bill was returned to the executive, the lawmakers had put in extra N2 billion for themselves, thereby bringing the total allocation to the National Assembly to N24 billion. Additionally, the President identified 15 other contentious areas in the document that was brought to him for assent. In another budget crisis, the Presidency also accused the then Senate President, Adolphus Wabara, some Senators, alongside some House of Representatives members of demanding and receiving bribe from the Ministry of Education to pad the ministry’s budget. Although the exposé led to the resignation of Wabara, the then Minister of Education, Fabian Osuji and some principal officers of the ministry, the former President went on air to announce how investigation revealed that Osuji and others from the executive arm bribed the lawmakers to the tune of N55m to jack up budgetary allocation to their Ministries, Departments and Agencies. Ever since, the budget feud between the two arms lingered. During the administration of former President Umaru Yar’Adua spanning 2007 to 2010, wrangling over padding reared its ugly head. For instance, in 2008, the executive arm sent a budget proposal of N2.9 trillion for legislative scrutiny. But, in the process of working on the estimates, the legislators raised the allocation, particularly those relating to their offices. While the upper chamber raised its budgetary estimate to N34, 034,890,457, the lower chamber beefed up its allocation to N59, 523,828,960. The committee set up by the lawmakers pegged the capital expenditure at N15, 617,953,761, which included N5, 831,953,761 for the Red Chamber and N9, 786,000,000 for the Green Chamber. For the Senate alone, a total of N120 million was added as non-regular allowances, a development that compelled President Yar’Adua to withhold assent to the budget. The impasse delayed the 2008 budget until April, leading to a near shutdown of the country’s economy. To get around the matter, Yar’Adua had to forward a Supplementary Budget of N683, 301,968,287 to the National Assembly. Then during the succeeding regime of President Goodluck Jonathan, in 2011, the National Assembly increased its budget from about N120b to N232.74b, while working on the N4.48b budget. Although the then President Jonathan refused assent on the bill, after a series of fence-mending talks, both parties (executive/legislature) settled for N150b in the budget for the lawmakers. The allocation to the legislature remained so for the next four years, such that it got N150 billion respectively from the N4.89 trillion in the 2012 budget, N4.98 trillion (2013) and N4.96 trillion in 2014. It could be rightly argued that cuts in most of the capital projects provided for in the 2018 budget is the end product of unresolved deep-seated socio-political differences between the executive and legislative arms. The long standing, but unhealthy war of supremacy between the Presidency and the National Assembly regarding the ownership and final authority on budget machinery, has stuck out like a sore thumb in the past three years. This development has made the hope of achieving some milestones in the economic recovery drive, as well as, overcoming Nigeria’s teething development challenges to remain a mirage. Nonetheless, the National Assembly relying on section 80(4) of the Constitution argued that the President erred by putting himself in the position of the sole administrator on issues of budgets and projects. And because of the desire to attract some projects to their constituencies so as to score political credit, legislators have always found themselves at loggerheads with the executive arm, which responsibility it is to initiate projects. For instance, shortly after the President indicted the National Assembly for allegedly inserting strange projects, the lawmakers came out with a damning response insisting that it is not a rubber stamp, but free to reduce or increase funds allocated to projects. Prior to 2015, the legislature had been cutting budgetary allocations to the tune of 40 or 30 percent. The lawmakers maintain that it is within the constitutional powers of the legislature to reorder the budget and ensure the equitable distribution of amenities to all the constituent parts of the country. The heightened suspicion and distrust that characterise Executive-Legislature relationship, analysts contend, has continued to render the budget system unproductive thereby failing to impact positively on the people. The tragedy of the 2018 budget actually began with its late presentation to the National Assembly on November 2017, four months later than the August date envisaged by the Fiscal Responsibility Act. But, the most deadly blow to the budget process was the sheer absence of synergy between the Presidency and the National Assembly regarding the key issues and projects therein. Early signs of malaise came up in the form of what lawmakers had described as refusal by heads of Ministries, Departments and Agencies (MDAs) to show up to defend the amount proposed for projects in the annual estimate. At the moment, most lawmakers view the accusations from the President regarding the alleged cuts, as well as, insertions of un-researched new projects, as remarks made in ignorance and mischief. They also believe there was a serious effort at political blackmail veiled in the President’s speech. Many lawmakers who saw through the double speak, said if the President had serious reservations on the budget, he would have returned to it to the National Assembly, stressing that he ought to have done the proper thing by taking up the issues before the leadership of the legislature. “His going public with these allegations was to achieve three things, incite the public against lawmakers, set up National Assembly as the “fall-guy” for the obvious failure and lack of good faith in the government to faithfully and fully implement the budget as witnessed since 2016 and demonstrate his contempt and hatred for the legislature,” said a Senator. The increment in the figure of the budget according to the National Assembly came as a result of the increase in the dollar mandate and price of oil in the international market. And the increment was done after several meetings and agreement between the National Assembly and all Ministers and top officials in the executive involved in budget preparation. 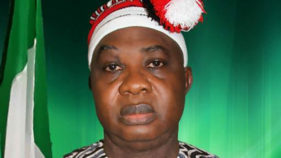 In fact, a member of the Senate Committee on Appropriation, Senator Rafiu Ibrahim, accused the President of playing to the gallery instead of addressing the real issues. At an emergency joint press conference on Friday, the National Assembly said the 2018 budget figures reeled out by the President were incorrect and misleading. It declared that adjustments and reductions in the locations, costs and number of projects approved were made in order to address geo-political imbalances that came with the Executive proposal. 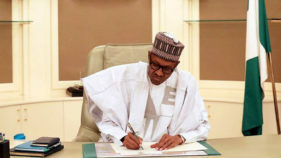 On the President’s claim that the National Assembly delayed in passing the Budget, the parliament noted that: “although the budget was submitted in November, 2017, as at March 15 2018 (five months and eight days after the budget submission), Mr. President was still directing the Secretary to the Government of the Federation (SGF) to compel the Heads of Ministries, Departments and Agencies of the Federal Government to appear before the committees of the National Assembly to defend their respective budgets. In addition, up till April (six months after the budget submission), the Executive was still bringing new additions to the budget, which the National Assembly in good faith and in the spirit of collaboration and harmonious working relationship accepted. “More importantly, the 2017 budget, was signed into law on June 5, 2017 and by the provisions of Section 318 of the Constitution, which defines the Financial Year as “any period of 12 months beginning on the first day of January in any year, or other date as the National Assembly may prescribe” – the 2017 budget lapsed on June 5, 2018. 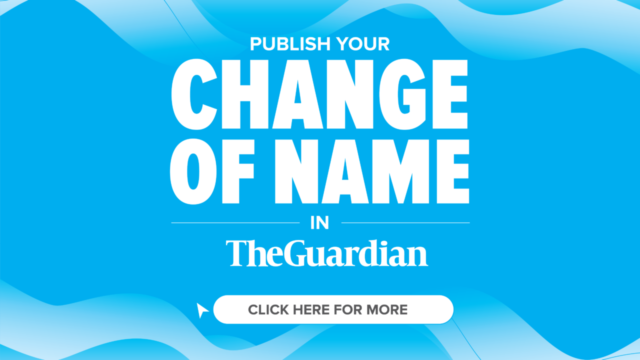 This same provision is replicated in the 2017 Appropriation Act,” it said. Former Speaker of House of Representatives, Alhaji Ghali Umar Na’abba, told The Guardian that it is not in doubt that the legislature approves the budgets after much scrutiny. He said: “What I know when I was Speaker between 1999 and 2003, was that we did our best in the legislature to hold the executive to account, when we started in June 1999, the price of crude oil was $9 and by the time we started our first budget in September 1999, which was supplementary budget, the price of crude oil was $18. 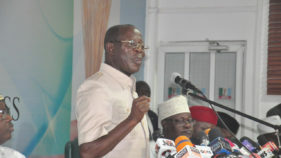 Na’abba disclosed that the lawmakers asked the power ministry to embark on rural electrification. “We also worked with the water resources ministry to construct boreholes all over the country, which was substantially done,” he said, adding that the health ministry was also supported to construct health centers in all the federal constituencies. On the back and forth allegations between the executive and the legislature, the former Speaker said: “Constituency projects that time were different from what is happening today. We don’t know what the legislators are doing. There have been accusations that the legislators are colluding with the MDAs and that no projects are done; yet the money is signed for and given away to the legislators. Meanwhile, an economist and project consultant, Dr. Ozo Anulika, said the feud between the executive and legislature over budget padding has existed since the period of military regime till date, stressing that budget passage and implementation has always been characterised by infractions and clear irregularities. 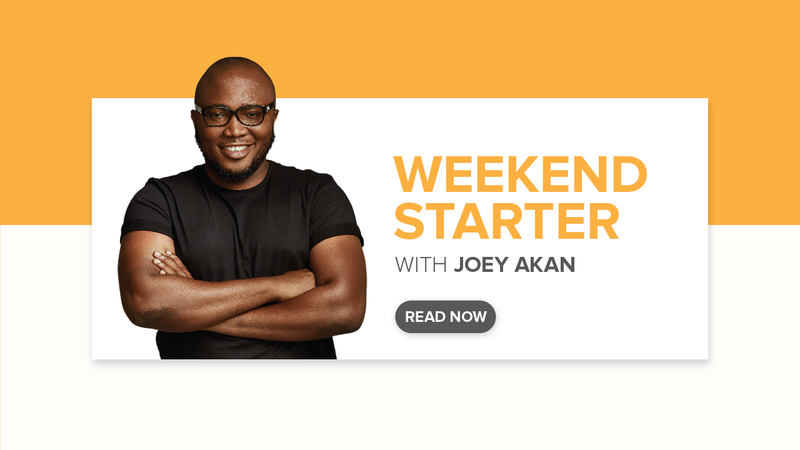 Similarly, a Lagos-based lawyer, Nduka Arumba, said in view that with the principle of separation of powers and constitutionalism, there is nothing anyone can do about National Assembly altering the budget. He said federal lawmakers would continue to alter the budget to accommodate projects of their interests. Recently, Justice Gabriel Kolawole of the Federal High Court, Abuja, held that the National Assembly has the power to review budget estimates laid before it by the Executive. A human rights lawyer, Femi Falana (SAN), had, in a suit asked the Court to determine whether the National Assembly could increase or review upward any aspect of the estimates of the revenue and expenditure of the Federation for the next financial year prepared and laid before it by the Executive.